See you on August 22-25! 2019 Cummington Fair August 22nd-25th. We will post schedule as soon as it’s available. Check out a few pictures from previous Cummington Fair! 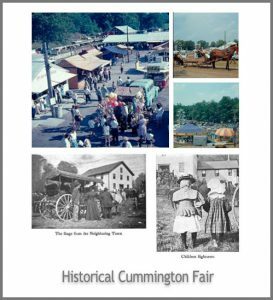 Did you know that Cummington Fair was initiated in 1883 as the Hillside Agricultural Society. From kids' shirts to cookbooks, click here for information on fair merchandise!